Hope the boss heals well and you are not relegated to maid services for too long! Good to hear the positive news. I was put on strong painkillers a couple of weeks ago as it’s likely that I have trochanteric bursitis (just showing off because I can spell it). They worked a treat but made me violently sick, looks like a return visit to the doctor’s after Christmas, am too busy until then. Holey Mackerel! Youzz gots plans all done for NEXT year? We can't make up our minds for next WEEK! Good to hear there is progress on the bone knitting front. Only good thing is that there is time to recover during the 'off' season. 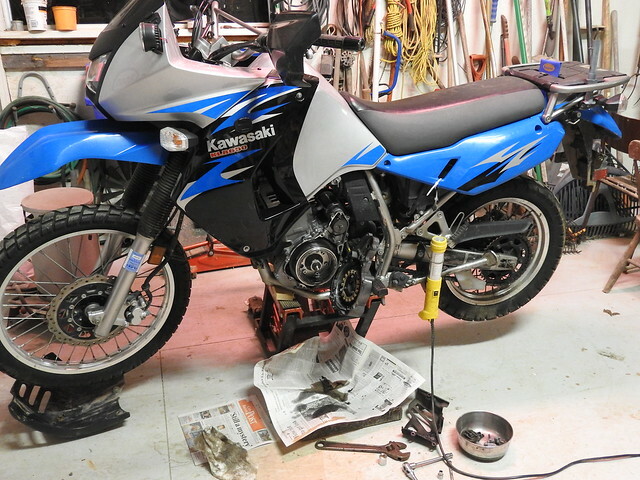 Only plans I have in the short term are fixing the pig. I already need a tool I don't have, so progress may be slow. Good thing it is also 'off-season' here as well! Is a clutch puller what you need, or something else? I don't have a place to work right now (Since September really). I'll probably have a backlog once everything opens back up. Starting to run out of money now, so hopefully will get everything done soon. The old track bike had a seized brake when I moved it over. Need to get that bike and the scooter back in working order so I can sell them off. Had to do a driveway oil change on the truck, just like the old days! Glad to hear your wife is mending correctly... Need to be in shape for all those trips! I'll try to stay away from busting bones like Mrs.Eddie because I don't think my chauffeur would be as understanding!